Scottish independent accountancy and business advisory firm, Johnston Carmichael, has strengthened its leadership team with the appointment of a new director to head up its international corporate tax offering. Peter Courtney joins the firm from HMRC, where he most recently led the international investigation team for large businesses in Scotland and Northern Ireland. With 13 years’ experience as an Inspector of Taxes, Mr Courtney holds an Advanced Diploma with distinction in International Tax. His roles at HMRC included CRM for FTSE 100 businesses and he was a member of HMRC’s head office transfer pricing team as a competent authority, leading negotiations on Advanced Pricing Agreements and resolving Mutual Agreement Procedure applications. 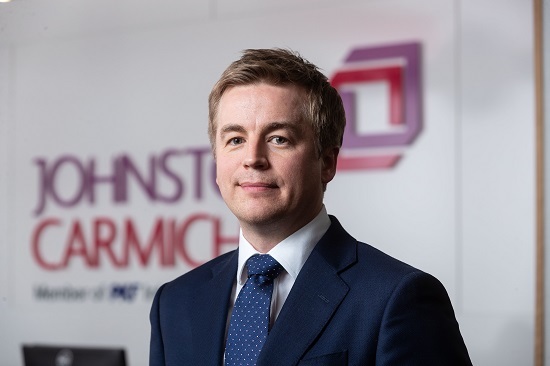 At Johnston Carmichael, Mr Courtney and his team will advise on strategy, risk management and dispute resolution across a range of international corporate tax issues including overseas expansion plans, transfer pricing, diverted profits tax, cross border financing, permanent establishment and double tax relief. Johnston Carmichael offers Scotland’s biggest tax practice, comprising a broad spectrum of specialists across a range of areas from R&D and entrepreneurial taxes, to capital allowances, VAT and Duty and personal taxes. Mr Courtney’s appointment is the latest in several designed to boost the firm’s international services. Mr Courtney said: “I am very excited about joining Johnston Carmichael, and its extensive tax team. I have been extremely impressed by the firm’s ambition and its plans to be the voice of taxation in Scotland. Susie Walker, head of tax at Johnston Carmichael, said: “Scotland has a diverse range of business operating internationally, from oil and gas companies, to food and drink producers such as our world leading distilleries and salmon exporters.